E.J. Gold has been a prominent and controversial figure in the Human Potential movement in California for over 25 years. 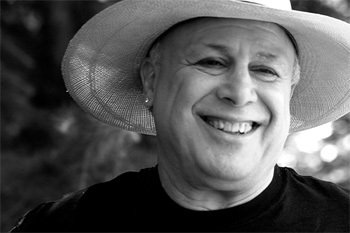 Technically a "shamanic rabbi", he earned respect in the field of transformational psychology by the clarity, profundity, uniqueness and expertise of his writings and thoughts and his emphasis on a practical approach towards transformation. Secret Talks with Mr G.
Thus far he has written dozens of books in his field. The subjects he covers are wide-ranging, from attention and presence, the waking versus sleeping state, death and dying, to shamanism, interdimensional voyaging, artifact reading, imprinting and use, cosmic laws, the suffering of the Absolute, higher bodies, artistic expression, the Tarot, prayer, sufism, shakti, natural childbirth, and many more themes. He is recognized as an authority in many of this areas, but death and dying will always be central to his vision, explorations and projects. Angels Healing Journey is one of several powerful texts he has written to help those interested in healing and working with people going through transition, including the final passage out of this life. His best known book, the American Book of the Dead, is a modern Western version of the Bardo Thodol, or Tibetan Book of the Dead, that has sold over 100,000 copies and been translated into several other languages. It was reprinted by Harper San Francisco in 1995. Described as a teacher's teacher, his influence and association with contemporaries includes Timothy Leary, Dr. John Lilly, Rabbi Zalman Schachter, Robert Anton Wilson, Dr. Claudio Naranjo, Swami Vishnu Devananda, Chogyam Trungpa, Dr. Fritz Perls, Elisabeth Kubler-Ross, Reshad Feild, Tarthang Tulku Rinpoche, Heather Valencia, Robert DeRopp, Joan Halifax, Paul Anderson, Antonio Asin, and many others. In spite of all these associations and his remarkable list of accomplishments, Gold has preferred to maintain a high level of privacy and isolation from the media. However, just recently he granted his first major interview in over ten years with the publisher of Magical Blend magazine. He has also become active on the internet (www.slimeworld.org), overseeing a large and varied website which includes the Galaxy science fiction online magazine, and working with students via online workshops and interactive computer games. Over the past several years he has been developing his own computer game, G.O.D.D., to enable players to experience and work with the bardo. Gold attributes much of his skill as a writer and versatility as a transformational psychologist and consciousness explorer to his culturally privileged background. As the son of H.L. Gold, the famous writer and founding editor of Galaxy Science Fiction Magazine, he grew up surrounded by writers such as Isaac Asimov, Frank Herbert, Robert Heinlein, Arthur C. Clarke, Harlan Ellison, to name a few. Other family friends included John Cage, Ben Shahn, Julian Huxley, Merce Cunningham, Charles Laughton and Elsa Lanchester.